Craig Fegurson was born on the year 1962, 17th May. He has been working in America for a very long time. He is really a multi talented person like hosts many shows, also does comedy, a great writer having great skills in writing, a producer, director and also a voice artist. This man with so many talents is very much famous in the world. The film written by him was excellent and also the books which he wrote were American on purpose and between the bridge and the river. He was born in the place named Springburn and is a very successful man now. Craig Fegurson has got many tattoos in his body. The tattoos are very well drawn with a very deep meaning in it. The two tattoos which are very famous are the snake tattoo and the family crests tattoo. The snale tattoo is situated in his forearm and is designed very well. The snake is being cut down into eight pieces. Also, there is a phrase along with the snake written as join or die. These pieces are of British American colonies. The tattoo is actually a political c cartoon, Benjamin Franklin wrote it. 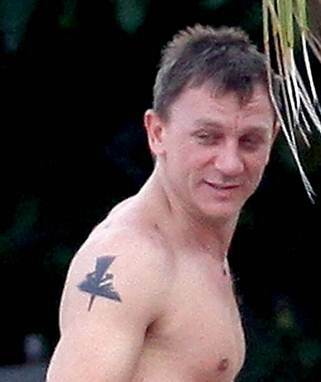 The upper arm tattoo is of family crests, honouring his parents.